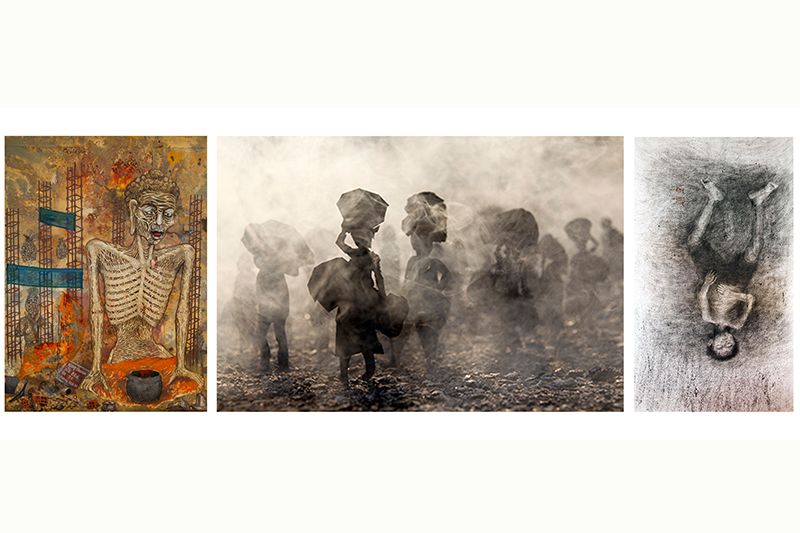 Three renowned Cambodian artists gather to collectively showcase “Cambodian memories” through extraordinary artworks. The exhibition highlights sixteen pieces combined from Mak Remissa’s Left 3 Days series, Leang Seckon’s Influence: The New Ages series, and a piece by Sou Sophy’s Black Rain. The works are juxtaposed in a conversation related to memory and monument, past(s) and its effect(s), to remember and to forget, and commemoration of the absences within presence – the here and now.